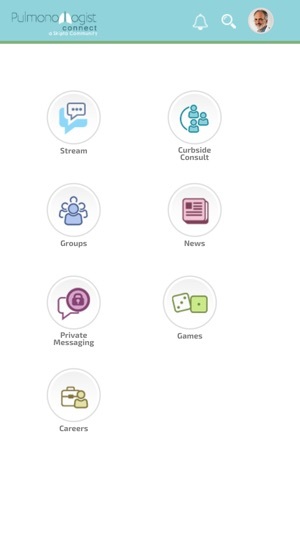 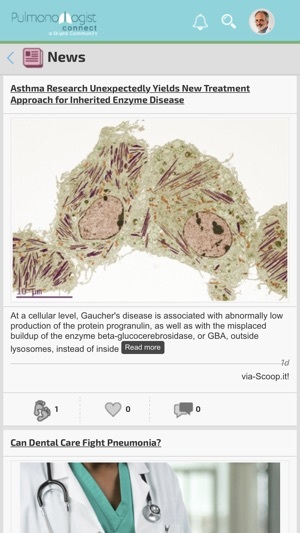 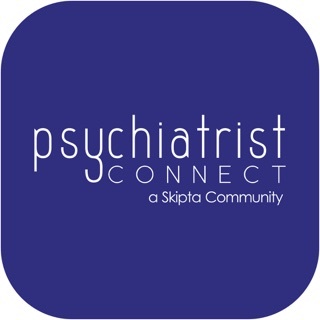 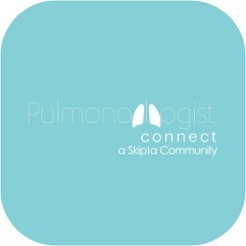 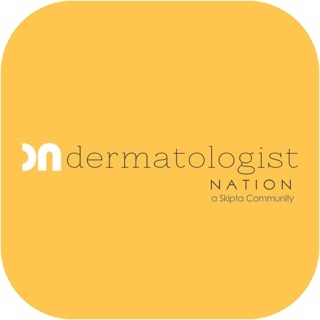 Pulmonologist Connect is an online medical community, exclusively for verified Pulmonologists. 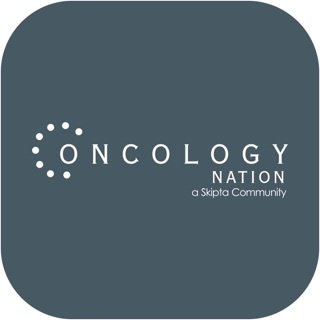 A place where Pulmonologists are encouraged to post their toughest cases or industry conundrums for feedback. 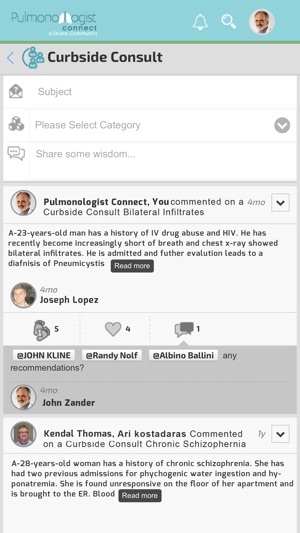 Groups within Pulmonologist Connect provide a destination for focused information and topics of interest, such as a medication, professional organization or academic institution. 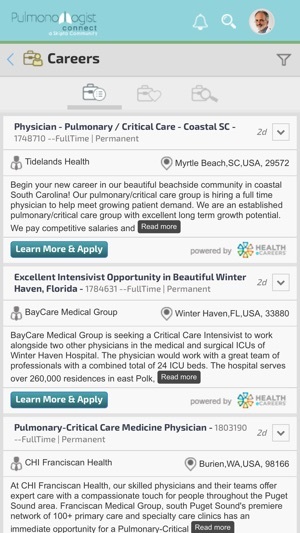 Your perfect job is out there and Pulmonologist Connect wants to help you find it! 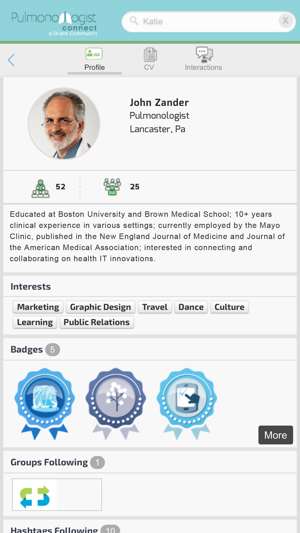 In our Careers area, you're able to search, save and apply to jobs based on location and specialty.